I hope you will enjoy this series of STEM posts covering over 70 resource links. I have tried to locate resources, tools, and programs that will assist STEM educators in their multiple fields. In the list below you will find the listing with a link, along with a short description. I have tried to include several different categories. Make sure you sign up for this goldmine of ongoing STEMtastics links. If you have a resource please let me know and perhaps we can make the list over 100! Along with at least one STEM post once a month, I will continue to bring other posts through out the month with ideas and resources covering all of the other 21st century education, technology integration, PBL, and education transformation resources, practices, and ideas. Enjoy the journey and the next first ten links out of seventy! Blendspace – This amazing tool is one of the easiest ways to blend the classroom with digital content. Teachers can collect and organize web resources in one place and share with just one link. It is also possible to assess students and measure student understanding with built-in quizzes. There are even tools to monitor student progress while adapting to individual needs in real-time. The easy drag and drop interface allows a STEM lesson to be completed in 5 minutes! EIE – Engineering is Elementary EIE) supports educators and children with curricula and professional development that develop engineering literacy. EiE serves children and educators in grades K- 8 with research-based, teacher-tested curriculum materials for schools and out-of-school time programs. The program also help teachers build skills and confidence in teaching engineering and technology in their professional development workshops..
eCYBERMISSION – This is a web-based Science, Technology, Engineering and Mathematics competition for 6th, 7th, 8th and 9th grade teams. Student teams propose a solution to a real problem in their community and compete for State, Regional and National Awards. 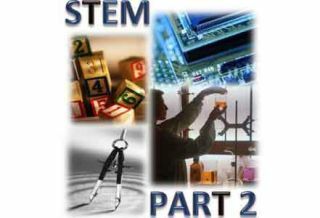 This activity challenges students to explore how Science, Technology, Engineering and Mathematics work in their world. Kidwind – Educators are invited to browse through countless short videos, PowerPoint presentations, hands-on lessons, and student-friendly online reading that will allow students to begin learning about renewable energy. Every one of these resources is completely free and available for teachers and students to use and enjoy. Screenleap – STEM teachers can find this a great tool to share screens throughout the classroom. Screenleap currently offers two types of screen sharing: desktop screen sharing and browser sharing. Desktop screen sharing is where one shares a computer screen with other people. Browser sharing is a special type of screen sharing where one only shares only the contents of the browser window. NICERC – The National Integrated Cyber Education Research Center focuses on curriculum design, professional development, and collaboration in K-12 education. This is a project-driven curricula that creates a context for the content at every level of learning. Professional development programs for K-12 teachers enable educators to motivate creativity and innovation in students through problem-solving, critical thinking, and communication. The Harnessed Atom – Take a moment to explore this middle school science, technology, engineering, and math (STEM) curriculum extension that focuses on nuclear science and energy. It offers teachers accurate, unbiased, and up-to-date information on the roles that energy and nuclear science play in the world. The curriculum includes essential principles and fundamental concepts of energy science. Coming Soon – The ABC’s of PBL and Deeper Learning… a series you will not want to miss. Sign Up Now!